Tiny Homes = Big Problems? “Tiny homes” have become popular among those who want their possessions pared down to the necessities so that they can save what may be a large mortgage payment on a large home and enjoy experiences such as adventurous travel in its place. We have reported on what we call the clutter reduction program . 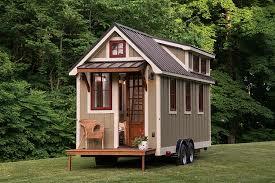 Limiting excessive possessions has assisted in the development of the tiny homes movement. However, tiny homes are not without big problems. The New York Times recently reported about the difficulty that tiny home owners have in what should be an obvious issue: where are you permitted to place your tiny home? Individuals spend hours upon hours designing such homes, with innovative space saving techniques and environmentally friendly building systems, only to neglect the need to determine the proper legal placement of such tiny home. Tiny homes, as any other structure, require the legal right to use any particular parcel of land. Perhaps a particular municipality requires that structures be of at least a certain square footage or that lots be of a certain minimum size, in order to discourage the placement of less aesthetically pleasing mobile homes. Zoning laws could be violated. For instance, the zoning for a property location may allow for vacant land or commercial use only and the tiny homeowner will be living there. Likewise, the zoning regulation may allow single family home use only on a lot and a conventional homeowner allowing another residential structure is in effect using the lot for multifamily use. Also, linkage to municipal sewer systems and electrical grids may be desired. Now that the tiny home owner has decided that acquiring the legal right to land use is required, this author will render advice on the means to such acquisition. Parking your tiny home in a public parking lot is not an answer, as many commercial property owners have posted notices in their parking lots to the effect that no vehicles are permitted during certain hours. Vacant land owners may post no trespassing signs for the same reason. Leasing land is a viable option. Your attorney can negotiate a favorable lease allowing the tiny homeowner to rent a portion of land and pay rent for its use. Leasing is appealing to many tiny home owners because it enhances the transient culture sought by many tiny home owners and allows them to relocate readily. Landlords should make sure that the lease can be nullified if it violates zoning and other applicable municipal ordinances, in case a nosy neighbor objects to the placement of the tiny home. Purchasing land is another option. This more permanent solution is highly protective of the tiny home owner. Your attorney will order title and survey work , so that the tiny home owner will be assured that he has the legal right to place his tiny home in a particular location. Eventually, the property can be sold by the tiny home owner. Our firm looks forward to servicing the needs of tiny and large homeowners.